04Spend 24 hours kind of living like Downton Abbey in this distinctive hotel. 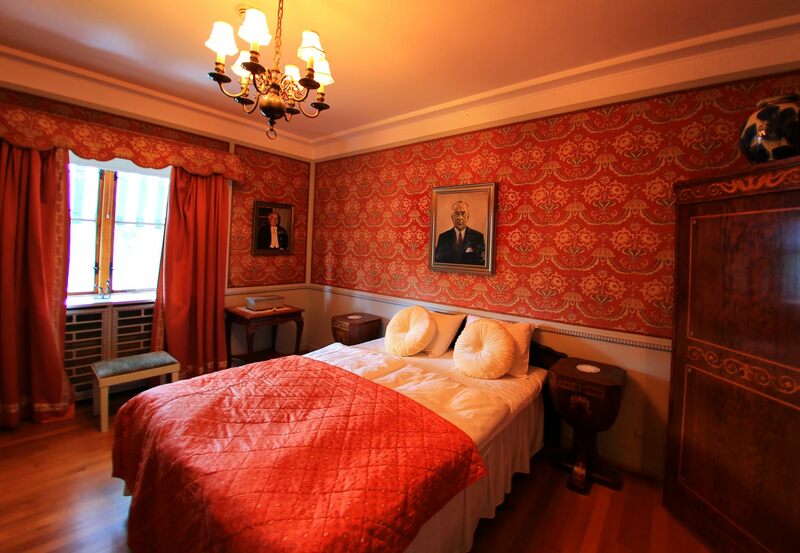 Hotel CEO Morten Christensen wants to let you experience the venerable in the home of Anders Jahre in Sandefjord. Spend 24 hours kind of living like Downton Abbey in this distinctive hotel. - Midtåsen is the place for the big occasions, Morten Christensen says, opening the grand main doors into the private home of the shipowner. Here, everything is set up for a wedding with 80 guests. 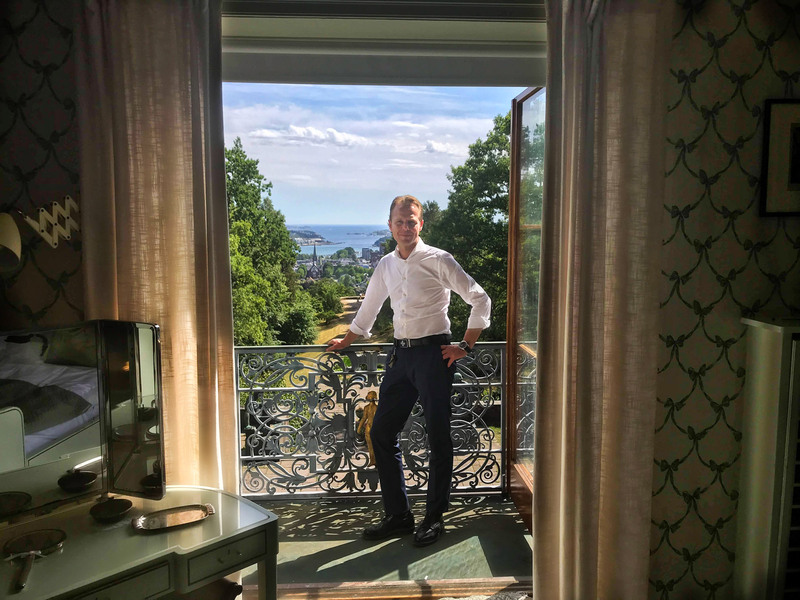 The new hotel CEO walks straight through the historical building and opens the doors to the park, which is glowing in the sun, and with the city of Sandefjord and Sandefjordsfjorden as a sky-blue backdrop. Midtåsen was built in 1934 and was drawn by the leading architect of that time; Arnstein Arneberg. The house, which is 1200 square meters, is located on a hill over the city centre of Sandefjord and is surrounded by sixty acres of park. 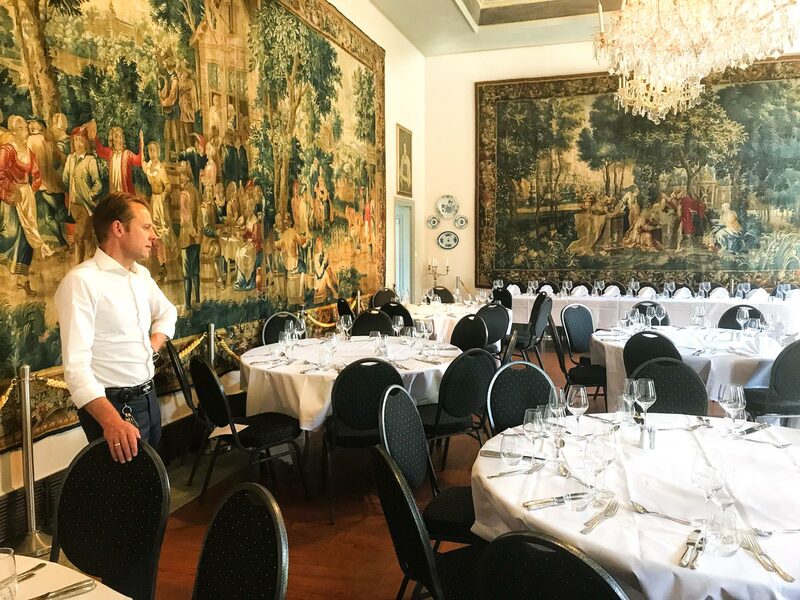 - This is perfect for a wedding reception, Morten Christensen says, showing how the guests can be lead further into the Arneberg-room for a better dinner. Morten Christensen has incorporated Anders Jahre's private grand villa into his exclusive hotel chain. Unike Hoteller consists of four other hotels in Vestfold and Telemark. At Midtåsen, Cristensen wants to offer the guests more than just a quick stop by the historical residence. The hotel CEO wants the guests to truly experience the place, even if only for a few hours. - We will be focusing on experience packages from now on. We want to promote the history and venerability of the residence. And we want to make Midtåsen more densely populated, Christensen explains. – It's been a drop-in place for a while. We want that to stop, but to make the place more open when you get here, Christensen explains. - Everything was packed away. But we've unpacked all the wonderful items and displayed them around the house. Chinese porcelain from the 17th century. We are laying the foundation for the fancy parties again, the CEO says, adding that doing so also means that he sometimes has to tell people 'no'. - What will be hosted here needs to be in the same style that we believe the house and the property should be used for. And it's the perfect frame for important events, Christensen says, mentioning for example large groups that are in need of a place to be represented. The phone rings. It will do that a lot during the interview. And the hotel CEO does not let the phone ring for a long time before picking up. Morten Christensen is not afraid of making himself available. His mobile number is engraved in brass on the front door of the hotel. - That's how it is. I'm not a regular employee, the hotel founder says. – I just think it's so much fun to get to develop this hotel, and there is so much potential! The secret is to work with your heart and give that little extra, CEO Morten Christensen says. He talks non-stop as he walks around the house. 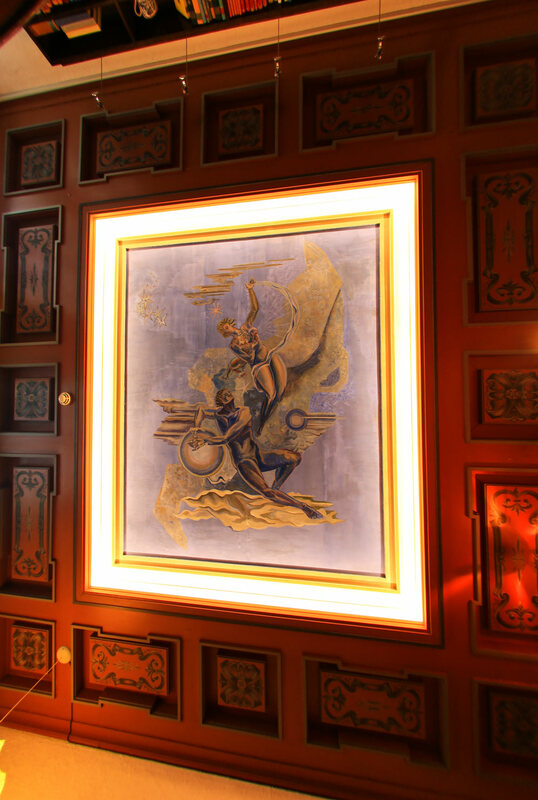 Opens door, brushes his hand over furniture and custom designed wallpaper. Points to details in the ceiling, walls, and floor while he talks on every intake and outtake of breath. Shows off the different rooms. The bedroom of the shipowner couple. 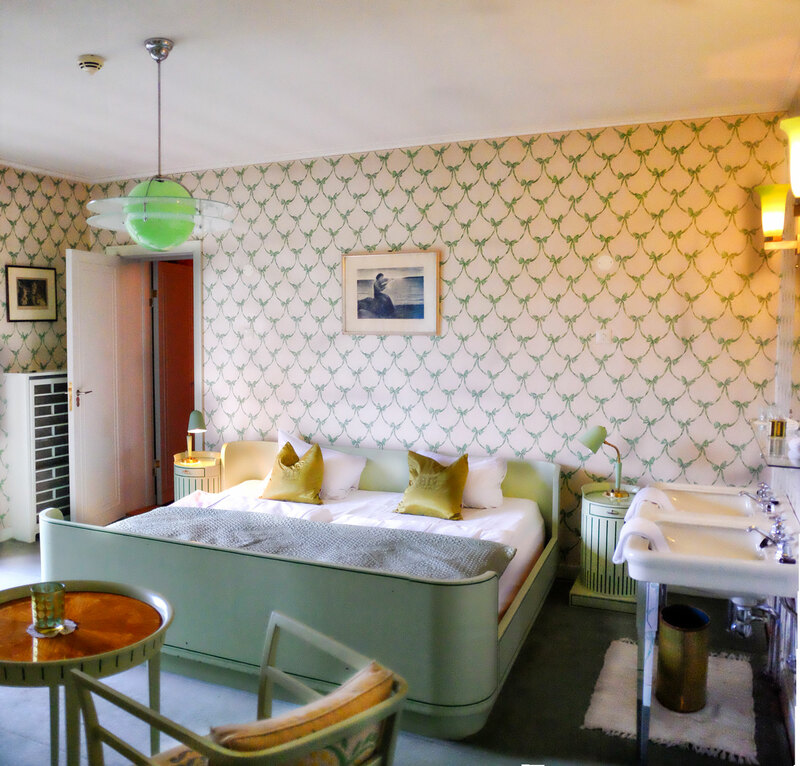 The Onassis suite. The King Suite. Each with their own bathrooms. Each room richly decorated. - Look at this! You know, this was built in 1934! Outside these doors, the European Depression was raging. In the USA, there was Black Monday, and Anders Jahre built this! Morten Christensen almost runs further into his hotel. – In Sandefjord, there weren't many thousands of people back then. So, this building is very grand. I bring my guests around and show them items that should actually be displayed in a museum. This place is marvelous. Beautiful details from the ceiling in the library. We don't just serve food and drinks. I bring almost every group with me on a tour so that they will get a look at the place they will be staying in, he says, throwing his arms out at his sides. Here, you will get to be a part of history! Don't get us wrong; the food does not suffer! The hotels have eighteen chefs in total who are working together, so that they can maintain continuity and quality in every hotel within the chain. - We spend a lot of energy on the food. Not to mention the wine. It Is now possible for whoever wants to stay at Midtåsen. – You will book the whole building and have everything at your disposal. You will live like Anders Jahre or like they do in Downton Abbey, if you prefer. - For example, it would be fun to pick up guests at Torp Airport in a Rolls Royce. Perhaps we could have a butler. And it would be fun to do something special for New Year's Eve, he says while hurrying through the rooms. - There is so much soul and history in the walls here. So many details. The house just keeps growing the more you know about it. It's such an exciting package, Morten Christensen says, emphasizing how happy he is that he is allowed to be a part of this and spend time in these surroundings. .- Remember that Midtåsen was a center during the 30's and 40's. When Aristoteles Onassis frequented here, he was the richest man in the world. Every royal family in Europe stopped by here. Midtåsen was full of mystery and nobody in Sandefjord who wasn't working as waitstaff were allowed anywhere near here back then. - Remember that Midtåsen was a center during the 30's and 40's. When Aristoteles Onassis frequented here, he was the richest man in the world. Every royal family in Europe stopped by here. Midtåsen was full of mystery and nobody in Sandefjord who wasn't working as waitstaff were allowed anywhere near here back then. - The rooms today are very intact and in good condition. The quality was good when it was built, and it has been a private home to only two people, plus staff. So, the house is in very good condition. Bess Jahre lived in the house up until 2006, just as she wanted to, CEO Morten Christensen says. The first floor of the huge house includes: 80 sqm wardrobe, wine cellar and wine shop as well as 300 sqm entrance hall, dining room, lounge, smoking room, library, kitchen and dishes. On the second floor we find hall, hallway, dressing room, bedroom, guest room (with bathroom for everything), ironing room, drawing room, living room and shower room. The guest wing to the north includes living room, hallway, two guest rooms, suite with living room, bedroom, living room and of course more bathrooms and toilets. The side wing to the east houses the famous Arneberg Hall of 135 sqm. Address: Midtåsveien 2A, 3226 Sandefjord. Twenty minute walk from Sandefjord station. 60 acre park, open to all. from 1000-1900 April 1st - September 30th. De fleste av rommene har de klassiske sminkebordene som var så vanlig på soverom i fordums tider. The house is situated on a hill along a terraced axis towards the Sandefjordsfjord. At the back of the house we find the stairway with sculptures, old oak trees and beautiful plants. The garden comprises 60 goals with park facilities and great scenery, and is available to the public. A unique place for summer events. The main building and parks are protected. In June 2009, Knut Steens opened pavilion and sculpture park in Midtåsen. Here we find 16 of the artist's works together. Twelve marble sculptures are found inside the pavilion, while four bronze sculptures are placed around the landscape. Anders Jahre was a Norwegian ship- and whaling ship owner. He was an educated lawyer and worked trial results solicitor in Sandefjord from 1916-28. Jahre started taking an interest in whaling as early as 1918 and spearheaded the creation of floating whaling factories. Jahre was the first to build big factories with rationalized operations. 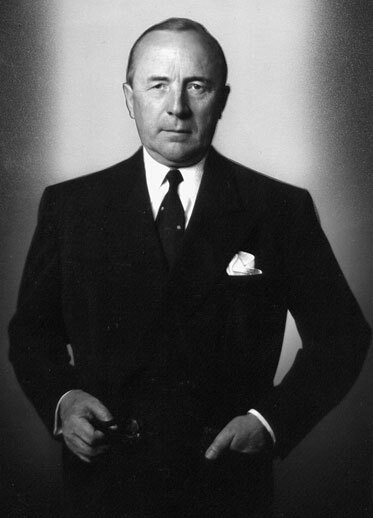 In 1928, he founded shipowner Anders Jahre, and from 1929-30 he founded six whaling companies. Jahre also spearheaded the processing of whale and sperm oil. 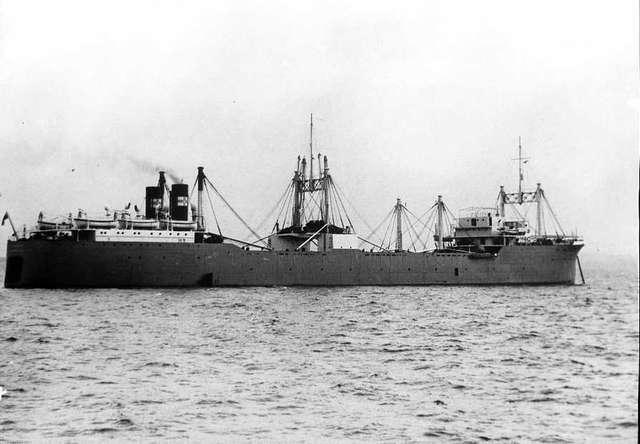 Jahre was the chairman of Aksjeselskapet Kosmos for many years, as well as several ship stock companies. He founded Anders Jahres Fond in 1953 for the advancement of science, and in 1966, he founded Anders Jahres Humanitære Stiftelse. Anders Jahre was appointed an honorary doctor at the University of Oslo in 1961 and by Lund University in 1963. After Jahre's death, there was a large dispute regarding the shipowner's foreign fortune, which Jahre himself had always denied the existence of. Information implying that former co-workers of Jahre had taken part in hiding the fortune surfaced. The Norwegian State issued a tax claim in 1984 towards the Jahre estate. In 2002, the State achieved a partial victory regarding some of their demands, and parts of the fortune were transferred back from the Cayman Islands. The case was finally closed in 2012. Source: Store norske leksikon, snl.no og Wikipedia. Morten Christensen Unike Hoteller consists of Hotel Wassilioff in Stavern, Hotel Kong Carl in Sandefjord, Grand Hotel in Åsgårdstrand, Seljord Hotel in Telemark, and Midtåsen in Sandefjord.